With many successful years of experience in the field of passenger transportation, the founders of Francebus take pride in offering you their know-how in the organisation of your travels. With Francebus, you don’t have to worry about the logistics of your group passenger transportation. As an exclusive business partner of many events, companies, and travel agencies, Francebus has become a specialist in group transportation for professionals. 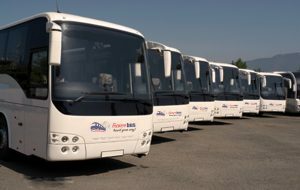 The many years of experience in the field of passenger transportation has allowed Francebus to become a reference point for the transportation of groups as well as individuals. You will also benefit from a service that closely matches your requirements while being among the most competitive prices in the market! It’s quick, it’s simple and it works! With Francebus, you can be sure to find the solution best suited for your transportation needs.